UltraSlideshow Flash Creator can create XML-driven dynamic flash (SWF) slideshows. UltraSlideshow Flash Creator is SWF flash slideshow software requires little flash skills to create up nice flash slideshows. Simply with photos, music, and transition effects and built-in flash slideshow templates, you can make stunning SWF flash slideshows. 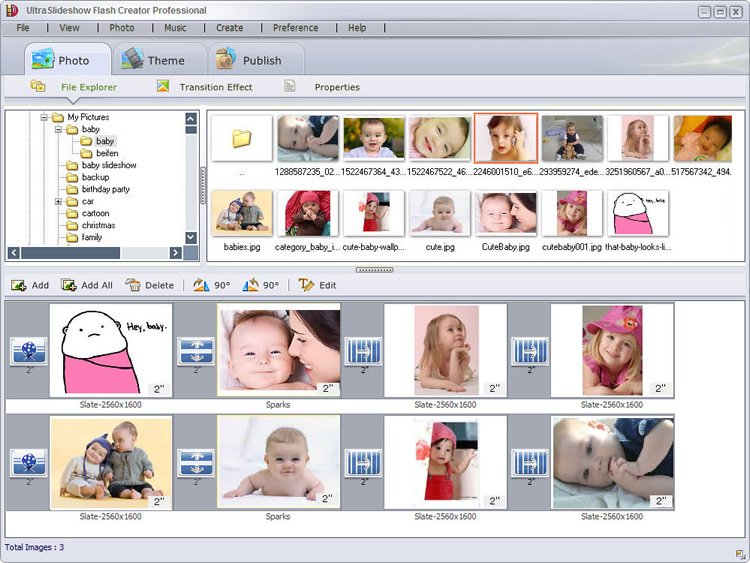 UltraSlideshow Flash Creator is the flash gallery builder that can build photo gallery in XML-driven flash. ...... many other social networking websites. Qweas is providing links to UltraSlideshow Flash Creator 1.55 as a courtesy, and makes no representations regarding UltraSlideshow Flash Creator or any other applications or any information related thereto. Any questions, complaints or claims regarding this application UltraSlideshow Flash Creator 1.55 must be directed to the appropriate software vendor. You may click the publisher link of UltraSlideshow Flash Creator on the top of this page to get more details about the vendor.